Finding a home that hits the spot can be one of the greatest things in the world. Building one from scratch can be even better. 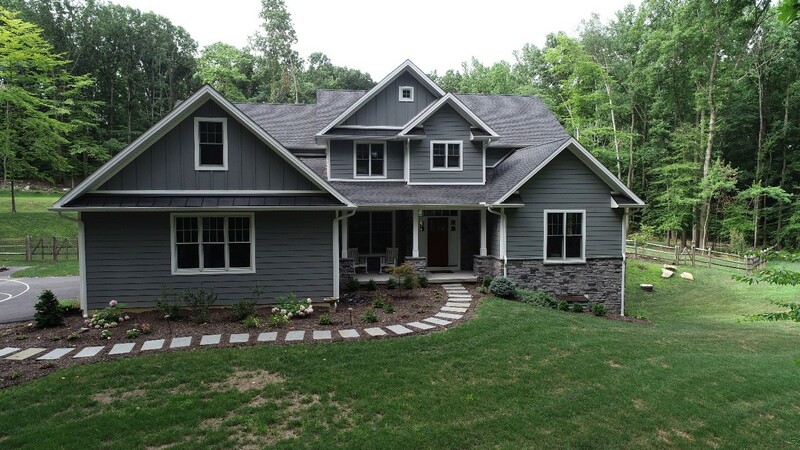 If you want to team up with custom home builders in Chester County, Pennsylvania, then your greatest bet is to contact the staff here at Forest Ridge Builders, Inc. in Gap, PA. Our new home builders in Chester County are all seasoned, trained, knowledgeable and assiduous professionals. They can help you design and construct a residential space that's truly in line with your goals, passions and hopes for tomorrow. They can help you put together a home that can make your entire household feel terrific, too. John Smucker established our business back in 2005 and has been enchanting customers with five-star home construction work since then. Our staff includes all of the finest new home builders in Chester County. It also consists of professionals who are well-versed in remodeling work and even home additions. We can give you house remodeling in Chester County that can energize your existence. We can give you home additions in Chester County that can enhance your residential curb appeal and value, too. Our construction and remodeling contractors in Chester County are some of the most versatile and capable professionals you can imagine. They help our clients design and construct residential properties that span many different size categories. If you want to build a cozy home that's nice and smallish, they can accommodate you. If you want to construct a bigger detached home that can be ideal for your growing family, they can accommodate you as well. They can help you with homes that encompass many size sectors. They can aid you with homes that encompass many style sectors all the same. Our primary aim here is and has always been to give our customers residential properties that are 100 percent individualized. People who want to relocate to bespoke residences that tick off all their boxes can always eagerly turn to our staff. If you want guidance from construction and remodeling contractors in Chester County, Forest Ridge Builders is the company you deserve. Our team members can give you assistance that never leaves anything to be desired. We're a business that holds all of our customers in great esteem. That's the reason we work nonstop to give them construction assistance that's efficient, organized and thorough. We work incessantly to see to it that we finish our projects without anxiety-inducing delays of all kinds. We make building home additions in Chester County simple and methodical for the people in our customer base. We make taking on house remodeling in Chester County relaxing and functional. Do you want to construct a Chester County home that can make you feel like you're on top of the world? Forest Ridge Builders wants to team up with you. Call our patient and cordial crew to find out all about our home construction choices. These are not just ideas to us, but rooted into the fabric of our business.